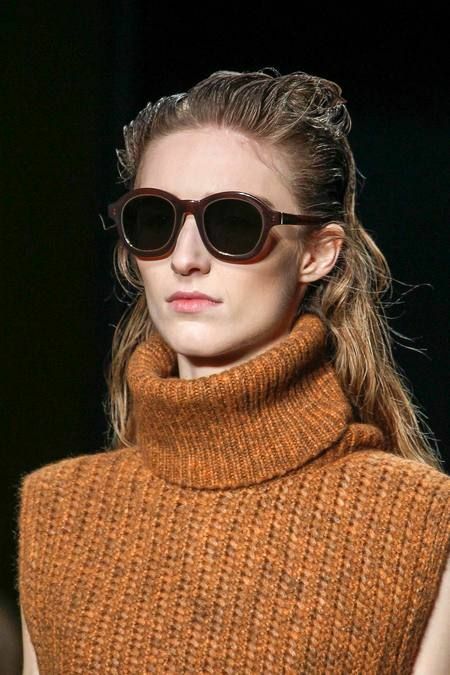 Phillip Lim took a new spin on traditional shapes and colors for sunglasses by adding a metal ring around the inside edge of the frame. 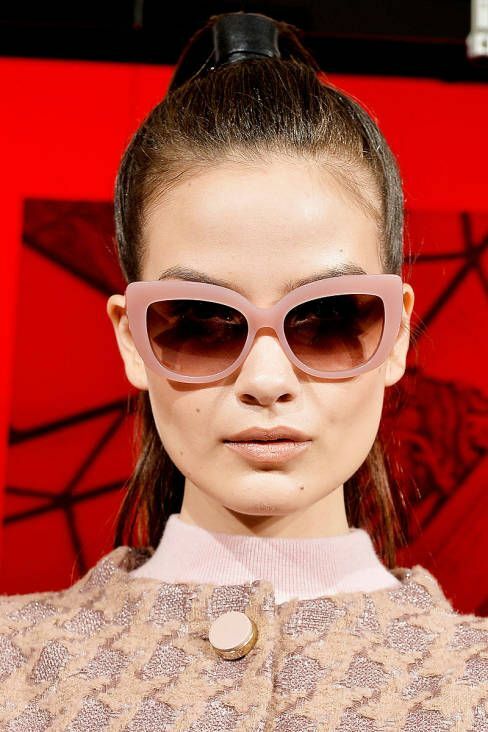 Kate Spade is a perennial favorite, and her oversized plastic frames with a subtle cat eye lift in pastels and glitter are excessively wearable for every woman. 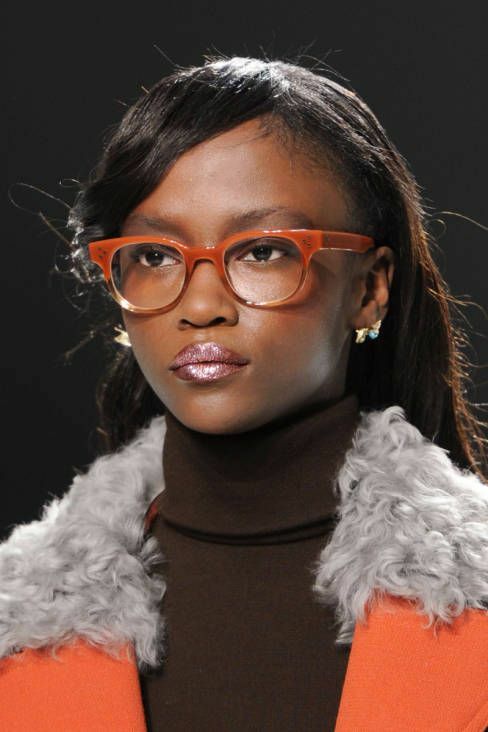 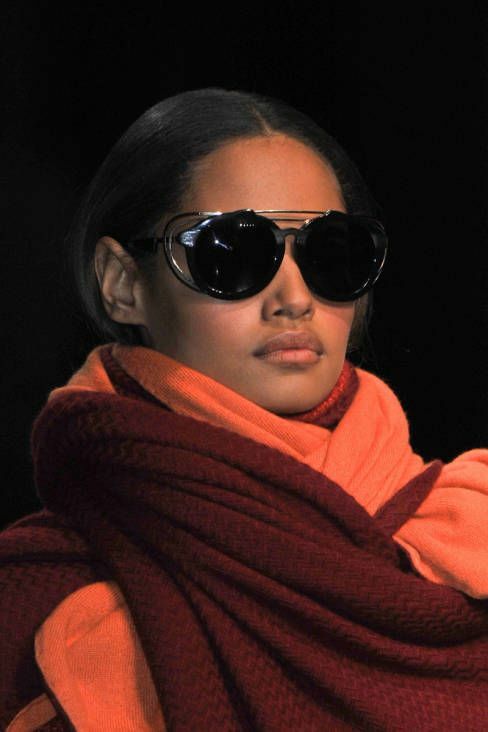 For ophthalmics, orange got a lot of love at Rodarte, with a familiar oversized frame shape that has completely taken over the market in the last few years. 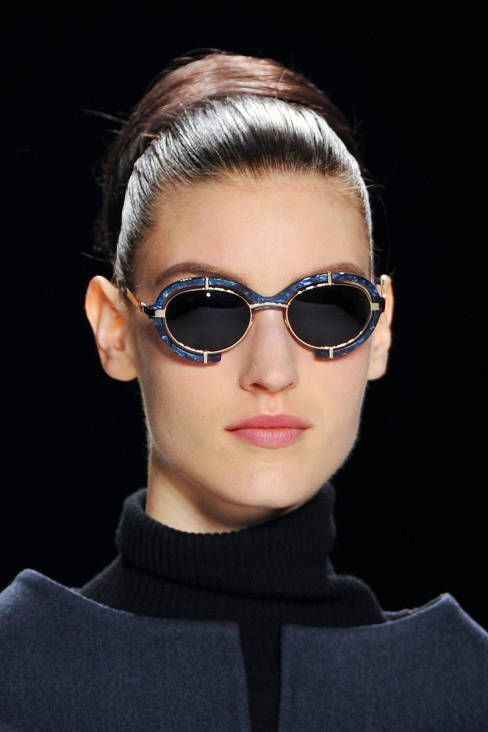 And for the truly out-there, the concentric rings around Prabal Gurung's sunglasses were definitely futuristic. 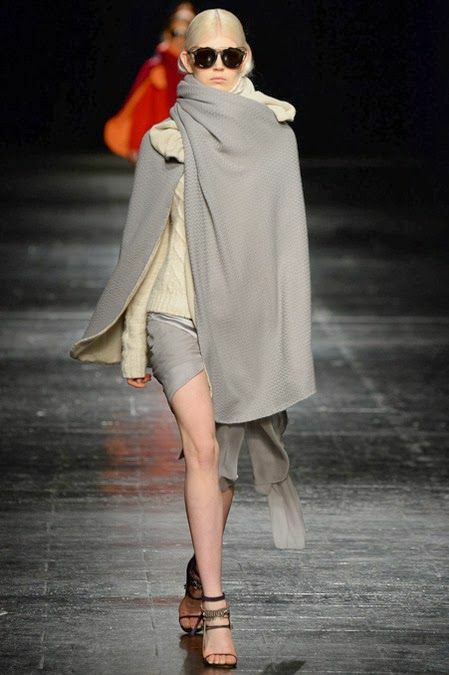 Probably not for the faint of heart to pull off.